On a calm night from the room I call my office, I can hear the Deschutes River rushing by in the canyon below. 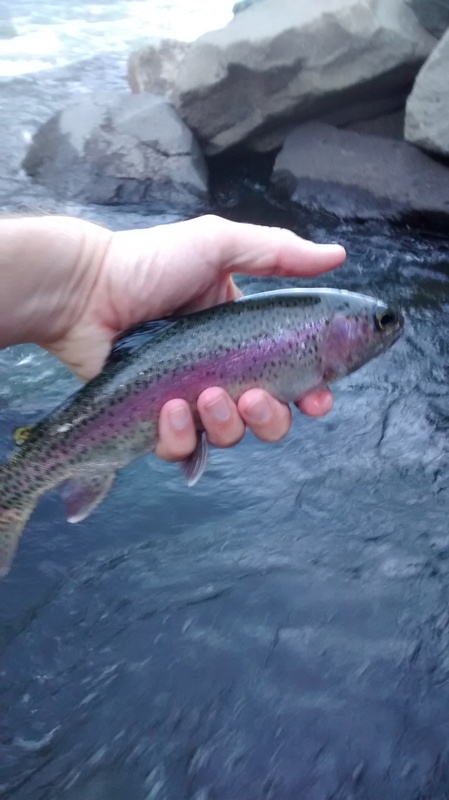 I’m fortunate enough to be able to string up my rod in my driveway, and walk a block down the street and be standing by its rushing currents within five minutes. Life is tough. The water though through this stretch of the Deschutes is a bit tough for the fly angler. Rapids and boulders make this section – called the Meadow Camp Run by whitewater enthusiasts – quite popular with kayakers, but rather difficult to fish at times. 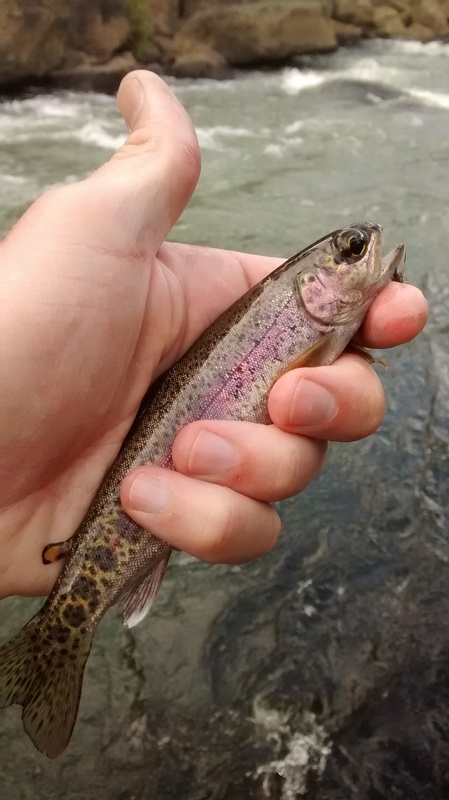 Over the years I have found some small pockets that have yielded some nice fish, but this past weekend a new edition to the rod quiver really opened up the water even further. 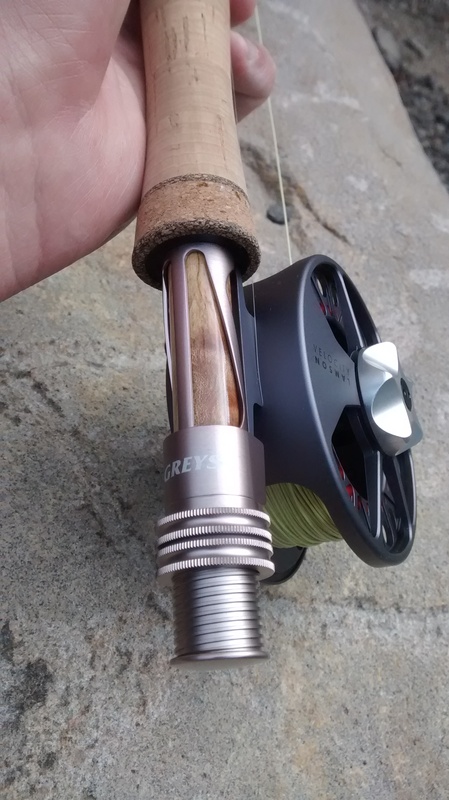 I picked up a 10′ 3# Greys Streamflex XF2 from my friends at the Fly Fisher’s Place this past weekend, and have been fishing with it everyday since. The streamflex rod is a nymphing machine, and Jeff Perin increased the nymph power of the rig by setting the reel up with the Rio Speciality Euro Nymph line and a Cutthroat Leaders Czech Nymphing leader. The leader is comprised of a 18″ 20lb furled braid that alternates between bright yellow and black – the “sighter” portion of the leader – and the 12″ of spectra that terminates at a tippet ring. The spectra helps your nymph rig sink faster, and the tippet ring allows for attaching multiple pieces of tippet for multi-fly setups, or just easily adjusting the depth of your nymph. All gear nerdy-ness aside, the Euro Nymph setup is a wonderful way to stay connected to your fly, and the sighter makes detecting subtle takes so much easier. The real beauty of this new style of fishing for me is that it has really opened up my “home” water for me. The tiny pockets and eddies that pepper this section of the Deschutes are so much fun to target with the euro nymph setup. Cast after cast I’m getting little trout hammering my flies, and being able to see these subtle takes – being able to *feel* them is quite fun. But the real joy for me is really getting to focus on reading the pocket water, and finding where trout hold on this stretch of the Deschutes. Short casts and getting the perfect drift into tight holding water has been so much fun… and when a healthier redside is found in a pocket, the fight on the 3# is a dream. If you are interested in learning more about European/Czech Nymphing – Jeff has a wonderful guide on his website here. Learn something new everyday! Sounds like a blast! Gear nerdy-ness- haha. Jeff took me euro-nymphing last summer and I really enjoyed it. I don’t miss the bobber doggin either – it really keeps you in touch with your flies so much more on the short casts – the hookups are so fun! I’ve never heard of it- going to check it out! @mammaflybox be sure to read the article I linked above. Jeff does a solid job describing the style, and all the different gear options. You don’t need a special rod to do it ( though length does help ) – he even has some people that fish this style with tenkara rods.